Think September's beer event calendar was over-the-top? Welcome to October. Many of your favorite brewers and bar folk may be in Colorado here at the beginning of October for the Great American Beer Festival (GABF), but that won't keep the parties from raging back home. Read on for all the evidence you need. Vacation always brings out the best in my beer drinking ways. A chance to get caught up on bottles/cans brought from home and a chance to discover new ones. 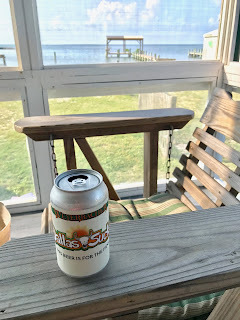 Last week was our annual trip to the remote island of Ocracoke, NC in the state's Outer Banks. The destination truly epitomizes remote and relaxing. Now, for the beers. The brewery's physical location may not yet be open to the public, but beginning this past June, owner/brewer Garrick Kalna's beers began showing up around the island on tap at a handful of accounts. The approach is rather genius in putting different styles on tap at different locations. My records show that I had the Brunch Coffee Kölsch and Pepperberry Saison at Zillie's, an absolute island must-visit. 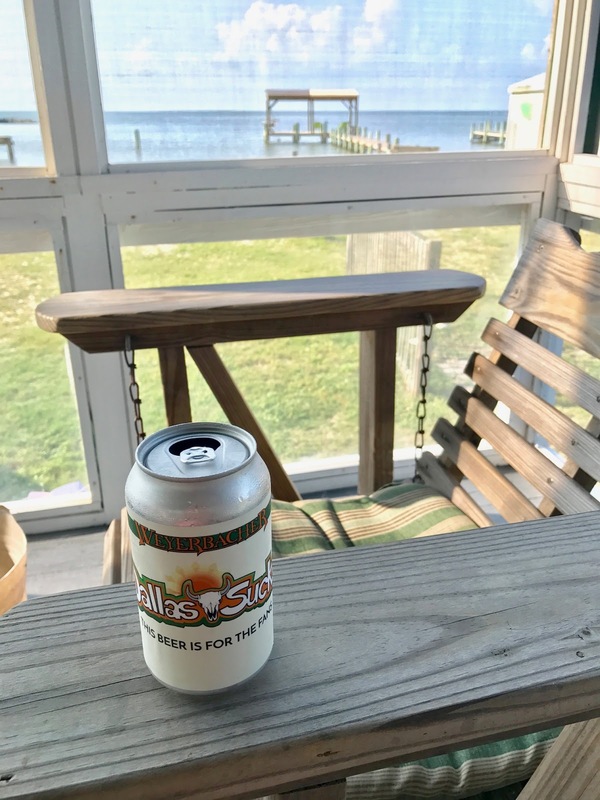 At SmacNally's dockside bar, it was the Summer Session IPA that hit the spot. When hanging out with a great crowd over brick oven pizza and Ring Toss, a couple pints of East Most West Coast IPA found their way to me. And over at Gaffer's, with its excellent sports pub and live music atmosphere, 1718's take on a NE IPA, Good Bones IPA, showed itself quite nicely. For me, the best of the bunch was the Brunch Coffee Kölsch. Big coffee aroma that was rather mellow and nicely balanced in the delicate beer. Can't wait to visit when the long-waited brewery and tasting room opens it doors. If quality and likability is measured in whether you'd order a second, let's just say I lost count after three of 'em! Very happy to see good guy, friend, and former winner of Samuel Adams' Longshot homebrew competition, Mike "Tasty" McDole, now partnered with 21st Amendment where his beer and his image have wound up on the cans and in the marketing material. He's even out on "tour" promoting the the beer at events. They made a 700-barrel batch, so it shouldn't be too difficult to find across the 21A entire distribution footprint in the coming weeks. Oh, and this IPA will remind you what a very good IPA should look and taste like. 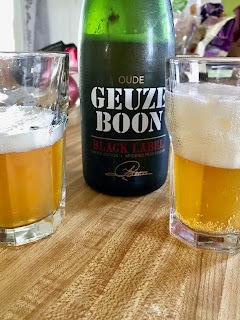 If you follow this series of my "best beers" closely enough, you might call me out for featuring this beer from the brewery's "Brooklyn Quarterly Experiment" a couple of months ago when its Beer Mansion traveling event tour was in Philly. True enough. But that was draft and now some bottles made their way to my fridge and I can confirm it's just as darn good as the draft. Sweet kiwi, slightly sour profile. Infinitely drinkable if you like those sorts of things. Very nice and dry, crisp, grapefruit citrus, refreshing, and almost poundable. Very wow. So much so, I need to find my way into another few bottles or cases of this. Very glad this came along on vacation and...did I say "very"? Duck-Rabbit is nearing its 15th anniversary, but it feels like its excellent beers have been around and winning awards for much longer. This one, in fact, accounts for several including GABF Bronze in 2015 and GABF Silver in 2014. Happy to report this excellent malt-forward fest beer worked very well as an interlude between a couple coffee Kölschs (see above). If you know anything about the Pistola's family of bars, their staffs, and particularly their POS terminals, you know they have a special disdain for Dallas. Maybe not necessarily for Dallas, the city, (or maybe so) but more specifically for the Cowboys of how-'bout-them-Cowboys NFL fame. Now they've got a partner in Weyerbacher which is helping them express this disdain with a very good pale ale. 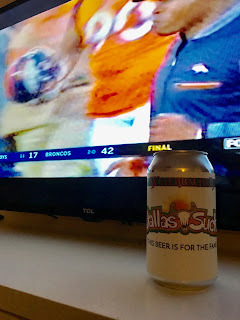 At 4.5% and nicely balanced and not overdone with hops, you should easily be able to session away a six-pack of this during a three-hour football game. What can I say? It's not for lack of drinking beers these last two weeks. Just lack of finding ones that *really* jumped out at me. Here are a couple just from the last few days. Focused on Mosaic hops and Golden Promise malt. Such a simple approach, such an easy beer to enjoy. Depending upon your dogmatism (or lack of it), this could certainly be thrown around in the session ballpark. Being available in the 15-pack "suitcase" is another appealing aspect. Not sure what "Volume 1" implies, but I can guess. This is an exquisitely refreshing and delicious blend of cranberries, cherries, peaches, and grapefruit. Which, in my book, makes this a very nice breakfast beer. Not that I advocate or have tested this concept myself. Or have I? The September party continues. 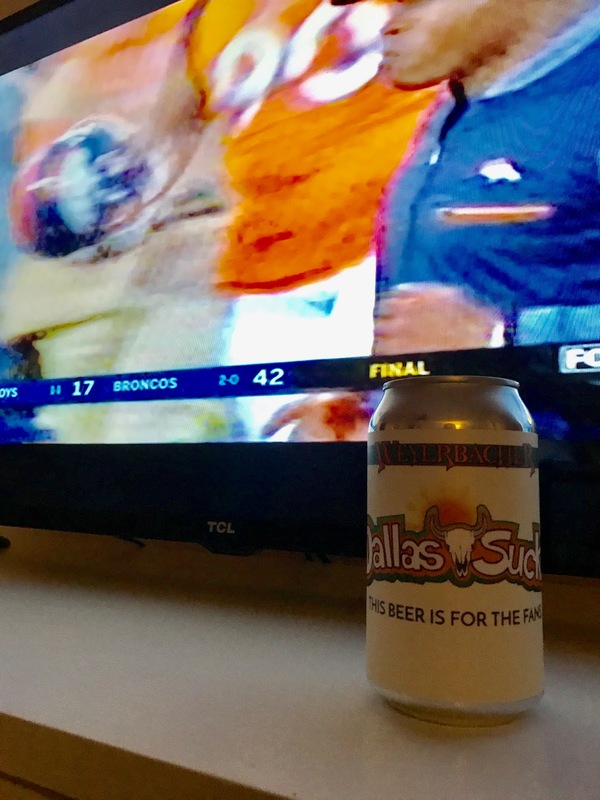 Grab a beer.